After being in Uganda for just a week we have had some provoking thoughts running through our minds each day. 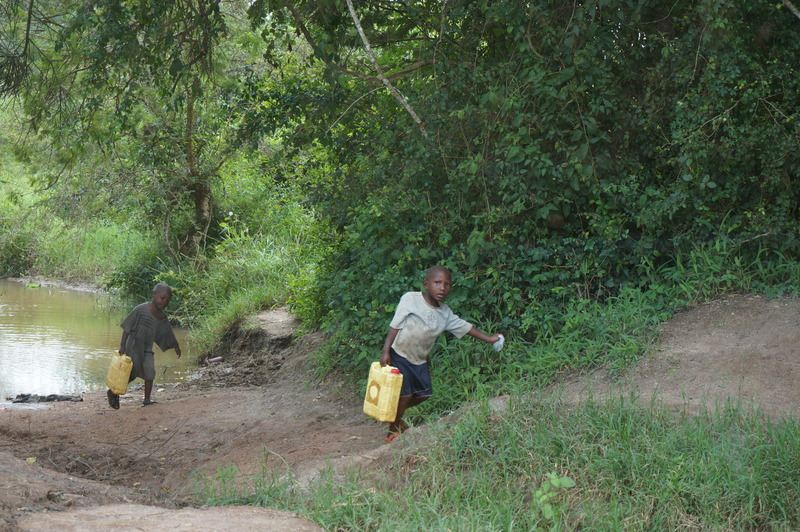 As we went from rural town to rural town we were faced with troubling issues everyday. One of the big problems we first came across was the HIV death rate. Talking to a lot of people, many of them share the same story. Around 8% of the population is HIV positive. We talked to one of the women who works at the social center about how her mother and father died from HIV when she was around 7. Her uncles then took care of her, but they died just as she was sent to university and then she was on her own. It seems we heard this similar story quite a few times from other people we talked to as well. There is a huge culture here that seems almost impossible to change. The focus on having big families is the most important idea to the men, and therefore the women as well. Sometimes the men compete to have the biggest family and when a women is not fertile they are no longer a part of their lives. Women will just have a baby with a married man to have a kid. The wife of the married man will not leave him either. It is common and not seen as a big issue. HIV is pretty easy to spread if you have 3 wives, not great healthcare, and use no contraseptives. Some of the people we visited in the rural communities will have around 10 children, but will have no job, and therefore will not have the means to pay for healthcare for these children. They usually will only attend primary school, and not secondary. They live off the land they have and don’t have the means to go anywhere else. The children don’t cry, they don’t have feeding schedules, or have anything at all. They work at a young age, carrying water from the closest water source, cutting down grass with a hatchet, herding their own goats with a stick, all at the age of around 5 onwards. There is no crying or emotion shown, because they protect themselves from experiencing suffering all the time. People in Uganda do not get upset. They are pretty passive. Maybe its the way the cope with death. I watched a documentary called, Open Heart. It was about children who had heart problems, and had to have valve replacement surgery. This was all due to the families inability to buy penescilan for their children when they had strep throat as a kid. I thought to myself, wow that is such a simple problem. Just buy peniscilan for all the kids, make it available. Of course I was naive. I now find out that diagnoses, transportation and availability are huge problems as well. These people in the rural communities are sometimes a 2 hour walk away from the nearest town. In the nearest town they most likely won’t have a hospital, and if there is a health clinic they most likely won’t go to the doctor. It seems they might either go to the doctor and not follow up with the doctors suggestions, or not go at all and guess about what condition they might have. Availability is also an issue. The doctors in the health clinics might be taking the drugs from the public hospitals and giving them to their private clinics they are involved with, to sell there. The families don’t have the money to pay for transportation to regularly visit the bigger cities. So there is this healthcare gap they live in. We visited the hospital in the first few days with Dr Mora, who is an irish nun working in Uganda for the past 20 years. We visited the nutrition center where we saw about 10 babies and their supposed mothers. Each baby was being fed some milk concauction. One baby’s head was leaded back and couldn’t turn sideways and had a small lump of fluid build up on the top of her head. She was there a month. The mother never asked any questions on why the baby’s head was permanent tilted back. As the doctor was inspecting the baby, it was screaming louder out of pain than I have heard a baby scream before. It seemed the baby had some vertebrae issue at birth. The nun/social worker/nurse never thought to give the child an X-ray at another hospital (this one did not have an X-Ray machine) or inquire about this obscure look. Dr. Mora came and saw what was happening and was visibly irate at what was going on. She then noticed a fungus growing on another child’s head, and noticed that one child wasn’t being breast fed at all and two other were most probable suffering from malnutrition. She was outraged and told the nun off right in front of all the mothers. It was not professional, but it seems that anything that goes on in this hospital is. She said the mother should be turned into the police for treating her kids like that. This was apparently the 3rd kid that came to the hospital of hers, meaning that she never learned from the two others. What is going wrong here, the teaching and the program or the culture? 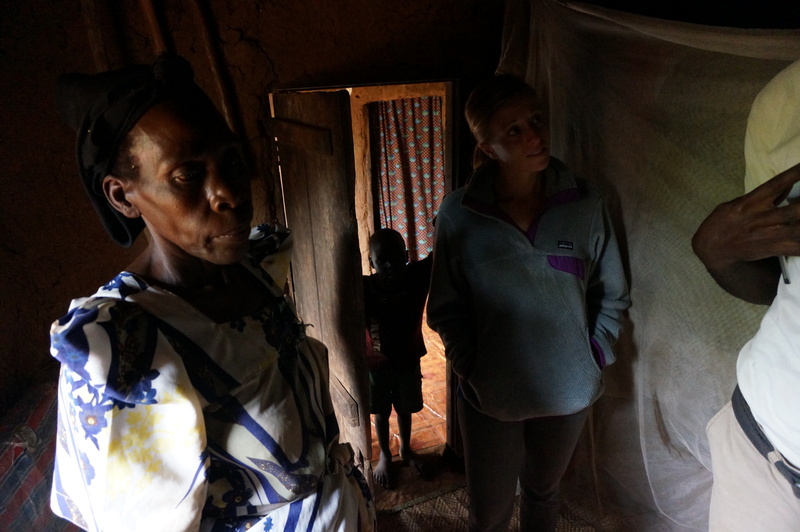 It was all quite eye opening, and seeing all the young kids having malnutrition problems was hard to comprehend. The thing that is harder to comprehend is that for every one that you see in the hospital there are so many others who didn’t bother to take their kid to the hospital and are left with no chance of getting better. 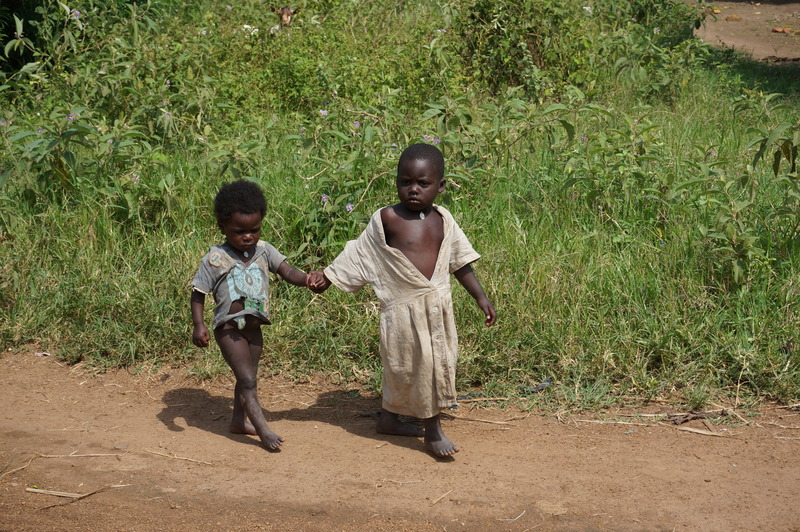 While we were driving to the rural communities we saw lots of kids out and about. Babies and kids walk the streets without pants because the parents can’t afford diapers. There are so many kids everywhere. The average age in the country must be pretty low. Women carrying water on their head for miles is normal to us now, but we see two children getting water out of a dirty lake. This is a little concerning, but what is more concerning is when we stopped near them they ran into the bushes. Some local language was spoken between them and the people we were with. The locals we were with explained to us that the kids were scared of us because they are probably abused at home, and thought that we were stopping to possibly abuse them. It was a hard situation to take in also considering how they were working and not in school. They should go to school right? But if they don’t fetch the water then they have no water and school won’t matter. What school should they go to? The secondary school is too expensive for them, they probably have 10 other siblings, and the primary education is as far as they will go, so what is the point? There are not many jobs for them since the quality is so low. Out of the ten people we visited two of them did not have some of their children in primary school. Their house is built off their own soil. They make bricks with their own molds, then heat them up with their own fire and wood, then build their house. They eat bananas off their land, and there only means of income seems to grow coffee, beans, or cabbage to sell to others for income. What industry do they have? This is the way life is. Is a higher chance of dying early no life at all? Does everyone have to be educated with big houses and cars? On the other side, how can we not aid and reduce suffering? So what is the solution to the bigger picture of all these problems…I am not sure. Changing the culture about kids while creating jobs or daily income for these poorest of families? I have tried to solve the problems every day in my head in many different ways. 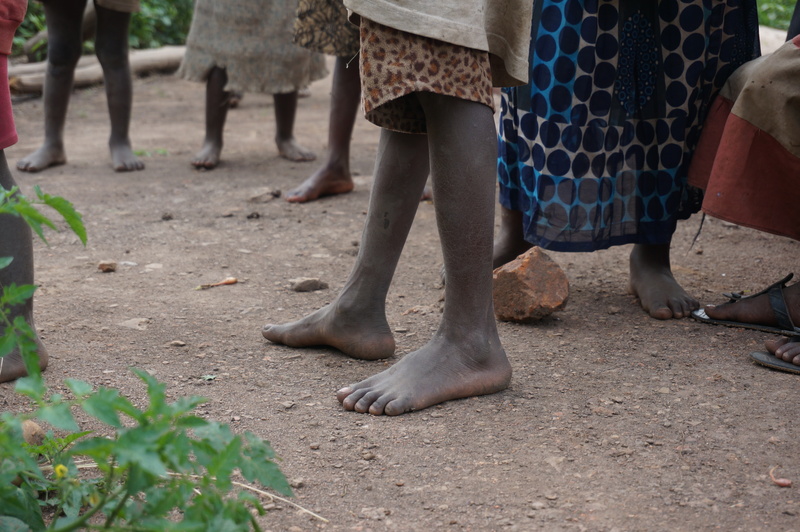 It is impossible not to think about helping these people and solving these problems when we see poverty first hand. It is hard to wrap our minds around all of this, but it is nessesary for us to experience. Hey man, great to hear from you. We are actually working with the fistula project here in Masaka. My next post is going to be all about it. Funny that you mentioned it. It is definitely a problem, and tough to talk to them women who have them, because they don’t feel like they are women at all. All your points are right on. We worked with Dr. Maura for the past week who does all the fistula camps in Masaka for free repair for all the women who come. We actually just went to her 50th year jubilee celebration, as she has been working on this problem for the past 20ish years in Uganda. With westbrook back we will be fine, but regardless we will take our time traveling. Take care man.